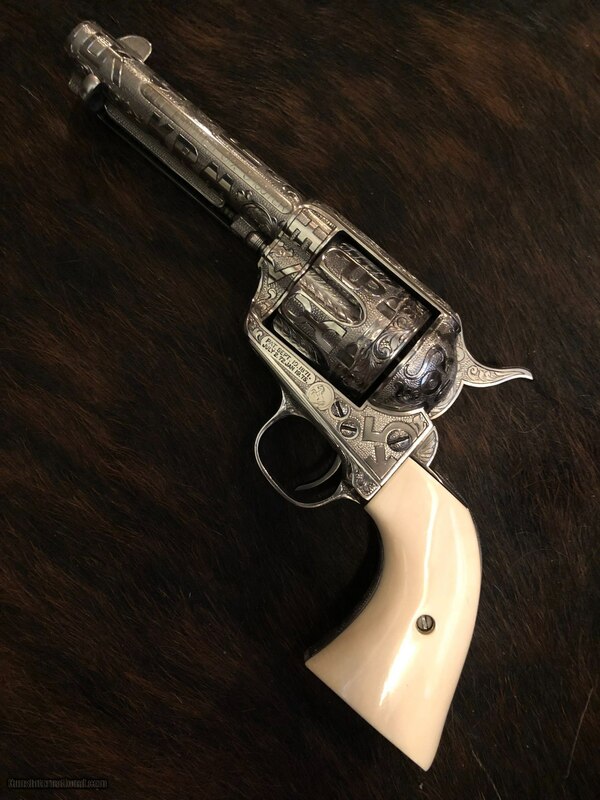 Presented here is an outstanding Colt “Frontier Six Shooter” made in 1892 (in .44-40 of course), and shipped to Schoverling, Daly and Gales in New York per the factory letter which is included. 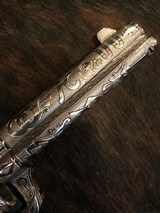 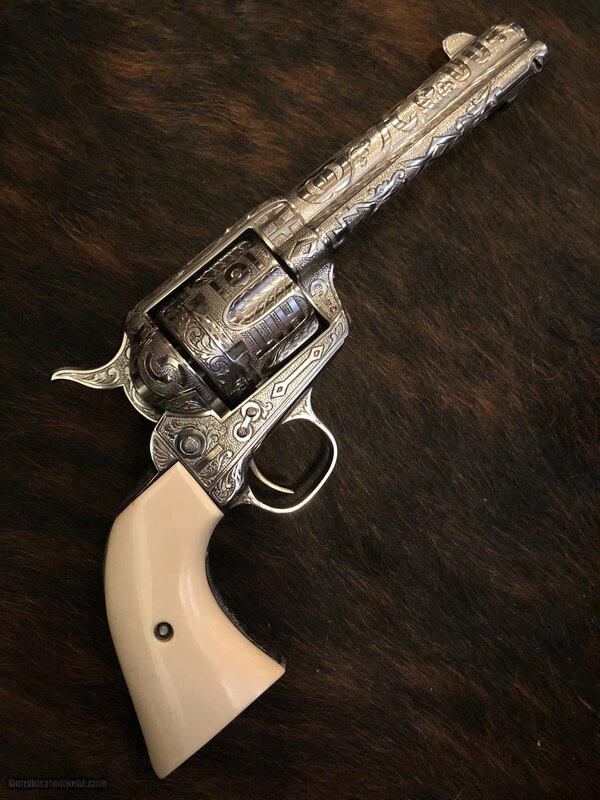 More than 30 years ago, in1985, this gun was totally redone by noted artist Clint Finley of Redding, CA., and has been engraved “In The White” in Texas cattle brands style. A superb piece that will grace any collection.